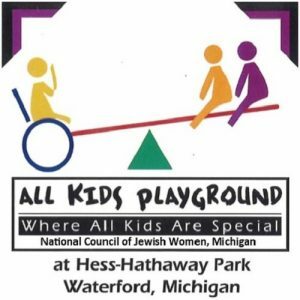 All Kids Playground is Metro Detroit’s first fully integrated, universally accessible playground designed for children of all abilities, including those with special needs. 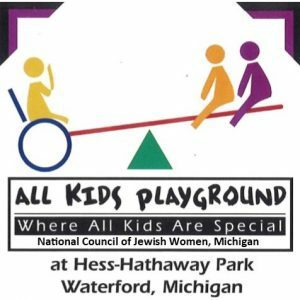 Click here for further information about the playground. Make a donation today or purchase a brick paver in honor or in memory of someone special. Your name, engraved on a brick paver and visible to all, will provide a permanent sign of your contribution to the All Kids Playground. Please click on your product below, you will then be able to purchase the product on the next page.